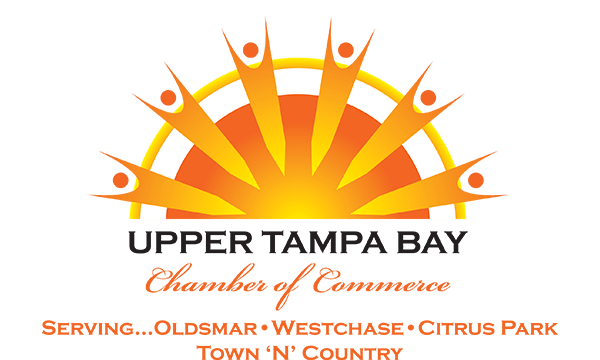 Members of the Upper Tampa Bay Regional Chamber of Commerce are offered plenty of opportunities to become leaders in the community, while also working to improve their business. The Chamber’s greatest strength lies in its ability to draw together a diverse group of business owners and managers, thereby creating a tremendous pool of resources from which ideas, talents, energy and expertise can be drawn. The Chamber’s 19-member, elected Board oversees the development of the organization’s annual Business Plan and Operating Budget, formulates public policy, and interacts with the Oldsmar City Council and Board of County Commissioners in Pinellas and Hillsborough Counties. The Ambassadors are the heart of the organization, assisting Chamber staff in its effort to grow membership, be responsive to the needs of our members, and encourage member participation in Chamber events, functions and programs. Realizing that the relationship between the Chamber and our region’s local, state and federal representatives is critical to the success of our economic development and quality of life initiatives, this committee’s task is to maintain strong working relationships with elected officials at the city, county, state and federal levels. Working hand-in-hand with City, County and State agencies and elected officials, this committee strives to strengthen existing businesses, to streamline the permitting process for new business, and to attract new commercial, retail, industrial, professional and service-oriented businesses to the Upper Tampa Bay area. Relationship Builders groups are a great way to develop both personal and business relationships than can lead to business leads over time. Dedicated chamber members chair and manage these groups helping ensure that the chamber keeps its finger on the pulse of the members. For more information on any of the Chamber’s many programs, projects, events and opportunities, contact us today! One of our staff members will be in touch with you shortly!